Cricket fights and sledging is very common now a days. we also seen such a fight on Sunday in 3rd ODI between Pakistan and Sri Lanka. 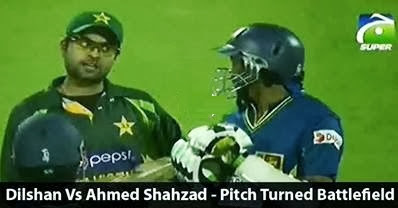 Fight took place when Bat of Dilshan touched Ahmed Shehzad and then Shehzad responded back.